Penske Chevrolet 3210 E. 96Th Street Indianapolis, IN 46240 Heated/Cooled Leather Seats, Keyless Start, Onboard Communications System, Back-Up Camera, Aluminum Wheels, Turbo Charged Engine, iPod/MP3 Input, Satellite Radio, Premium Sound System. LT trim, Silver Ice Metallic exterior and Jet Black interior. EPA 30 MPG Hwy/20 MPG City! Warranty 5 yrs/60k Miles - Drivetrain Warranty; CLICK ME! 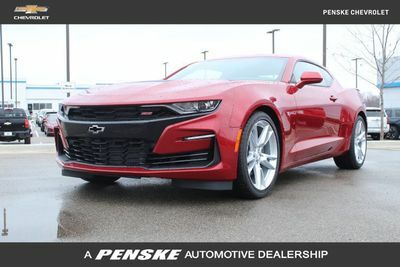 Leather Seats, Heated Driver Seat, Cooled Driver Seat, Back-Up Camera, Turbocharged, Premium Sound System, Satellite Radio, iPod/MP3 Input, Onboard Communications System, Aluminum Wheels, Keyless Start, Dual Zone A/C, Smart Device Integration, WiFi Hotspot, Heated Seats. MP3 Player, Keyless Entry, Remote Trunk Release, Alarm, Electronic Stability Control. Chevrolet LT with Silver Ice Metallic exterior and Jet Black interior features a 4 Cylinder Engine with 275 HP at 5600 RPM*.